Pizza Hut on High Street has had a makeover. 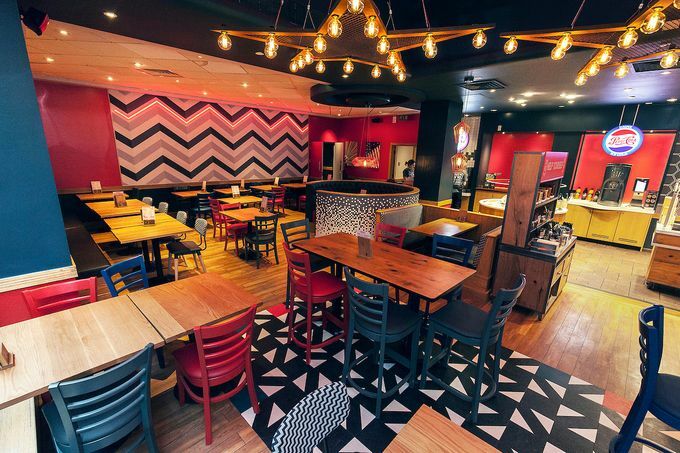 Sheffield’s Pizza Hut has undergone a £160,000 refurbishment, with flashes of colour and American diner inspired neon lights giving a fun, modern feel. The re-opening of the Sheffield Hut is part of a multi-million-pound nationwide redesign programme by the casual dining company. A brand new, exciting menu will also be rolled out in the revamped Hut including new additions such as pizzas starting from £5.99, jalapeno poppers, seasoned fries, and a delicious salted caramel cookie dough. As part of a new fast casual dining approach, the new look Pizza Hut will be offering customers a new pay at counter model, enabling them to pay for their meal on arrival and leave as soon as they want to – which will help ease the pressure for busy customers over the festive period. The new look restaurant is modern and colourful. All of Pizza Hut Restaurants’ famous icons – including the ice cream factory, salad station and buffet – still take centre stage, but there is a new counter service model on offer for customers looking to enjoy a speedy meal. The investment in the Sheffield Hut is part of a broader £60 million refurbishment and restructuring programme for Pizza Hut. 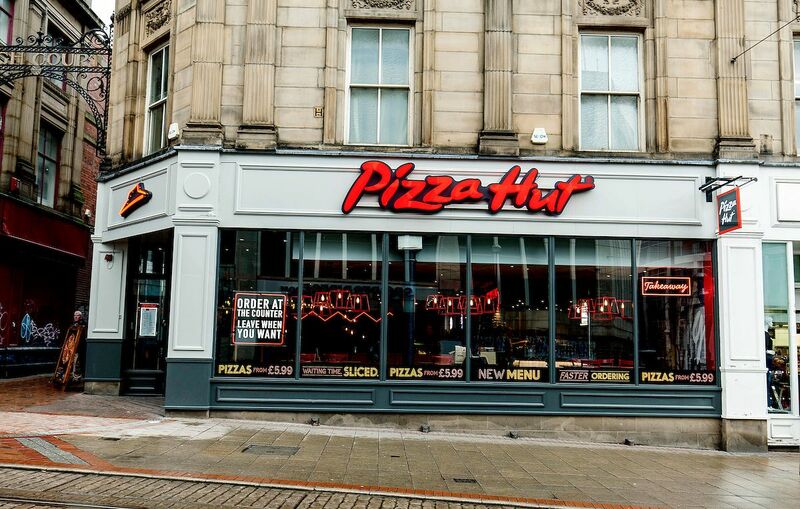 Located next to the Castle Square tram stop and just a few minutes’ walk from the Heart of the City, Pizza Hut is a great spot to grab a quick bite after work, or before you head out to catch some entertainment in Sheffield city centre. Pizza Hut isn’t the only spot in Sheffield to be getting a makeover, Bungalows and Bears is set to celebrate its refurbishment with a three day relaunch celebration.